The master of the steaming griddle performs theatrical flourishes while preparing crêpes or gallettes in the window of a crêperie. Waves of pure chocolate cascade over the multiple tiers of a brass melting device in the window of a chocolaterie; shiny golden alligators that turn out to be beautiful loaves of bread chase their tails in the window of an artisan boulangerie. Artists wearing berets paint portraits at street fairs where wine flows freely, gold and silver mimes hold positions longer than is humanly possible, and little dogs travel everywhere — including restaurants — with their owners. The très French riches of the Latin Quarter tempt and dazzle the traveler. Paris, where sidewalk cafés, redolent of strong espresso, dot the avenues and offer the ultimate Parisian experience — fragrant coffee, pastries more artwork than baked dough and sugar, and the opportunity to sit and observe Parisians. Smoking is not required, but if ambiance is the object, it doesn’t hurt. This urban pinnacle of French and world culture, birthplace of champagne and cognac, is not the place one expects to receive an invitation to pop down to the pub for a pint, and then later, perhaps, head off to a gallery to catch the latest exhibit of photographs of Ireland. In Dublin, Galway, Belfast or even New York City, there’d be no surprise in such a request. But here, in this land of Edith Piaf, Notre Dame and Gauloises, the City of Lights, home of the Bastille, the Louvre and le Tour Eiffel — Gay Paree — even the possibility is unexpected, to say the least. But Paris has an old, strong connection to Ireland and a new, modern one as well. The College of the Irishmen, or College des Irlandais, in the Latin Quarter is the old one. Dozens of Irish pubs with an expat and tourist clientele, is the newer one. The College des Irlandais which houses the Irish Arts Centre, and is appropriately located at 5, Rue des Irlandais or Street of the Irishmen, offers artifacts that attest to the rich cultural attachment between Ireland and France dating back centuries. The classic facade of the stone building presents a stem front to the street where the Irish flag waves over a tall dark door with the harp emblazoned above it. However, inside the three-story building, treasures await. The walls in a room off the college chapel display stone markers honoring Irish patriots and scholars who spent time there. Many plaques on the premises tell bits of the history of the Irish in France. A sign on the back wall of the main building indicates that the college was used as a hospital for wounded soldiers during WWII. Another reveals that from July to December 1945, the U.S. Army housed displaced persons claiming American citizenship on the premises. A plaque from Poland honors the college for helping escapees from the Dachau concentration camp. Standing in the courtyard formed by the U-shaped arrangement of the buildings, and looking up at the top of the first story, a visitor sees a row of signs, each beating the name of a place in Ireland. Inside one of the side buildings is a beautiful little chapel where the notables whose gravestones are displayed next door attended or said Mass during their stay at the college. A gallery inside the front entrance of the main building offers changing exhibits on contemporary Irish life. The Irish Arts Centre, located in the College building, offers a library, resources for research and courses on Irish culture. No longer the “soldiers, scholars and priests” described in a Padraic Colum poem about the College des Irlandais, the new Irish immigrants to Paris are described as IT specialists, au pairs, workers who arrived to build Euro Disney, language teachers, as well as political exiles from Northern Ireland. The fresh influx of “Wild Geese” began arriving in the ’80s when Irish pubs in Paris were rare. But Johnny Granville’s “Tigh Johnny” (Tigh is the Irish for home or house) in the heart of Montmartre provided a meeting place where they could find comfort in the familiar and mingle with the French who frequented the pub. Tigh Johnny is no more and Granville, a shy but charming man from West Kerry, left Paris for Ireland where he died at only 48 years old. But what Tigh Johnny’s began, many others have continued. With names such as The Wild Geese, Le Bistrot Irlandais, Connolly’s Comer, Corcoran’s, Oscar Wilde’s and Cruiscin Lan, nearly every arrondissement in the city and several areas in the outskirts can claim one or several Irish pubs. If a traveler is tired of hearing only French, or is linguistically-challenged, the pubs are a great place simply to hear a little English spoken. 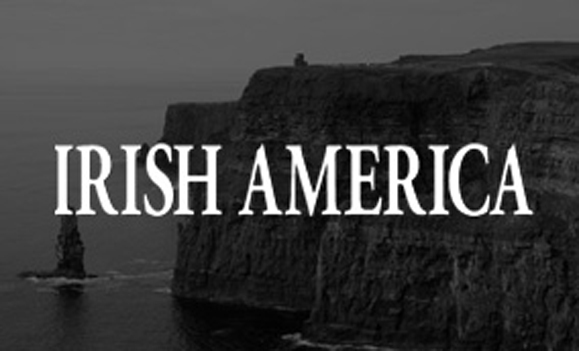 Some nights, the accents aren’t Irish at all, but American, Australian, British, Scottish or Canadian. Bartenders may hail from any English-speaking country, but most are fluent in French as well. Of course, the pubs are good for more than merely the sound of English. They are attractive, mostly “tarted up” pubs, like those of Dublin and Galway, offering Guinness and other Irish beers in bottles and on tap, and an array of whiskeys and other spirits served at a burnished bar with the traditional mirrors and dark wood. Most serve food, everything from pub fare to sophisticated restaurant menus. The pubs also perform the same service as neighborhood bars everywhere. They are the places where the Irish in Paris exchange information on housing, jobs, entertainment and other data pertinent to expatriate life. They are also the place where publications of interest to the Irish in France can be found. The Irish in France even have their own magazine with the straightforward title Irish France. “Being the nomadic, brash and teetotally challenged race that we are, it is only natural that we have a hell of a lot of axes to grind, music to be heard and imagination to be revealed,” wrote David Coffey, editor, in Irish France, which is also available online. What would an Irish pub be without live music? Parisian Irish pubs are no different. Most offer traditional Irish music, but the sounds of Celtic Brittany and other countries may also be heard as well as contemporary music. A young Newfoundlander on a recent field trip with his high school class stood up and sang an Irish song in an Irish pub in Paris to an appreciative audience — the highlight of his trip. Certainly no one would go all the way to Paris just to visit an Irish pub, but if you’re Irish-American and you find yourself in Paris thirsting for a pint rather than a Pernod, weary of traveling down the Seine on the bateaux-mouches, or merely moved to seek a conversation in English, the Irish pubs provide a familiar oasis in the midst of endless Gallic delights.